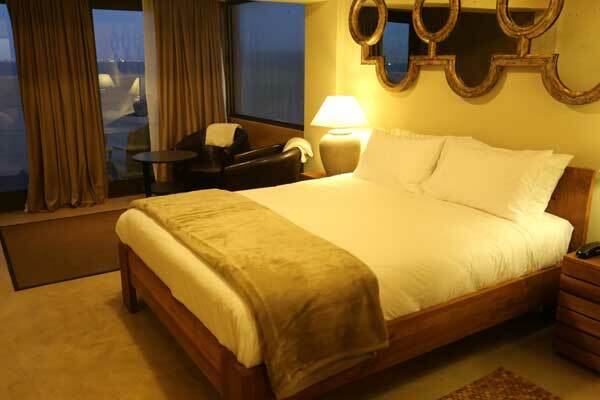 Welcome to Walvis Bay's Pelican Point Lodge Namibia! 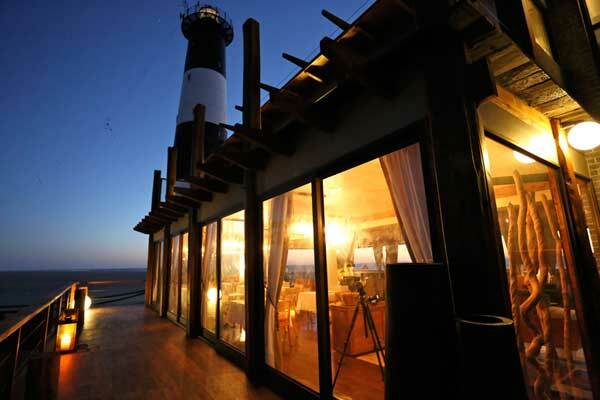 New luxury establishment, Pelican Point Lodge, is situated on a unique stretch of land, the remote peninsula of Pelican Point at town of Walvis Bay, at the Atlantic coast of Namibia, a committed venue to creating memories for all our guests that will last a lifetime. 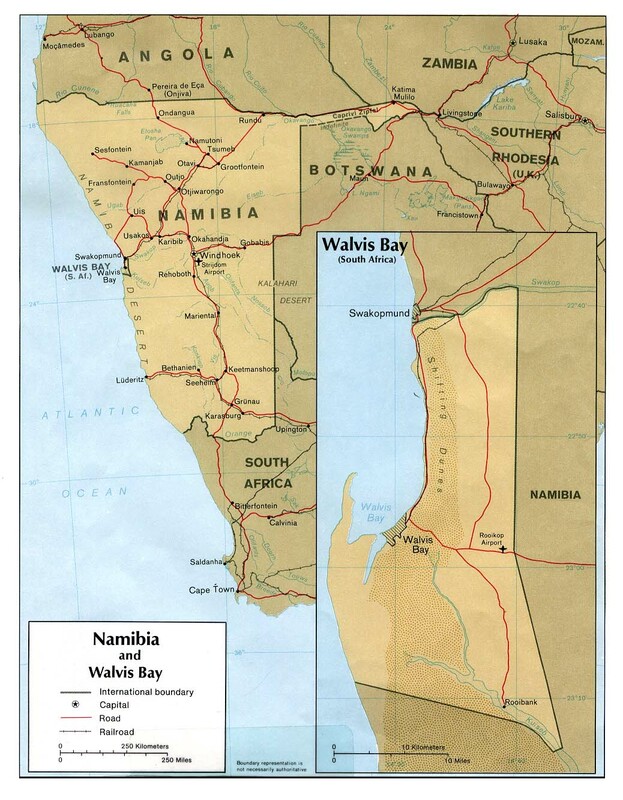 See history of Walvis Bay Lighthouse. From your own private deck, expect to enjoy the antics of hundreds of seals surfing the ocean waves, or just their basking in the sun, spot the Dolphin's, Whales and Mola-Mola, hearing the distinctive call of the jackal roaming close by the lodge, observing their playful nature. Witness spectacular bird flocks of Damara terns, cormorants and flamingo's flying or feeding in the more tranquil waters of Walvis Bay lagoon. 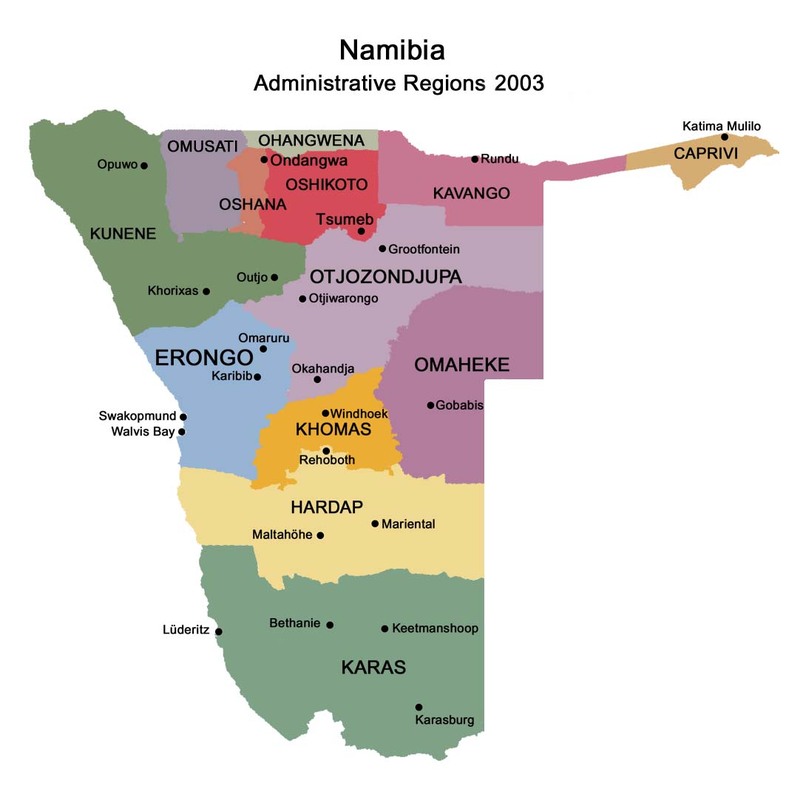 Follow fishing vessels, passenger ships, oil rigs, catamarans, and boat operators to and from the Walvis Bay harbor which all presents perfect photo opportunities on misty or bright sunny days. 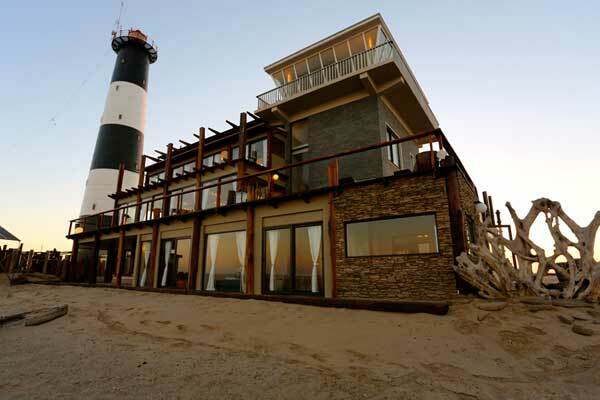 At Pelican Point Lodge we offer you the experience of having your holiday on the semi-remote Peninsula of Pelican Point , 32 km from Walvis Bay. Experience the stunning and unique, and ever changing views as the day passes on. 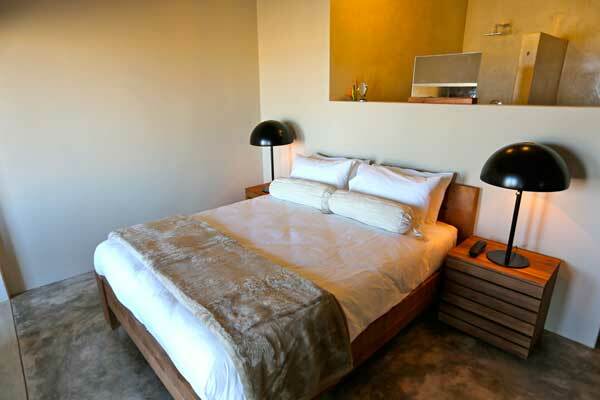 You'll stay in one of our 9 suites of your choice, all decorated and furnished in style & luxury. 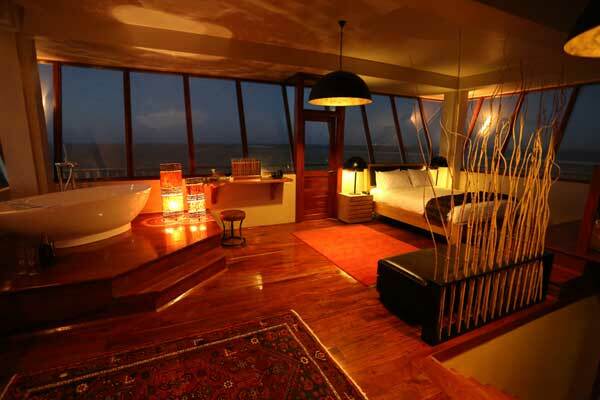 Each suite is equipped to cope with the climatic changes of the Peninsula in mind. 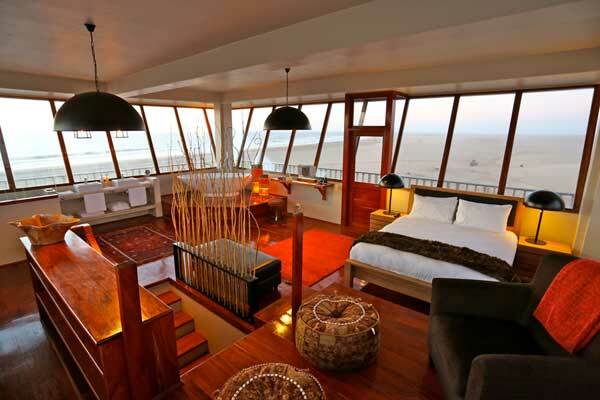 You'll experience your stay surrounded by the Atlantic Ocean at one side and the Lagoon of Walvis Bay at the other as a truly unique setting. From your bed or your private balcony you'll experience the most stunning views and unique lightshows the Namibian sky has to offer. Decoration of the rooms is made to take advantage of the views and light this unique environment has to offer. 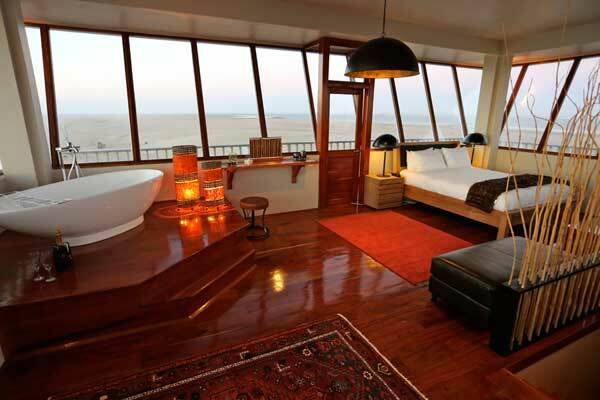 The former harbor control tower is changed into our Captain's Cove suite to accommodate you as our esteemed guest. Fit for Kings, Captain`s and Presidents it offers absolute privacy and 360° views to enjoy the landscape from above. 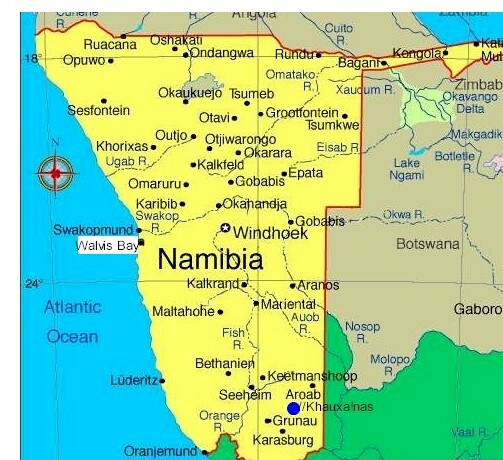 Pelican Point Lodge aims to become a leader and example in Eco-Friendly practices within the hospitality setting, and with Namibia's 2030 vision in mind, with the support of all our key-role players achieve success in achieving the Five Flower Award as part of Namibia's Eco-award program". 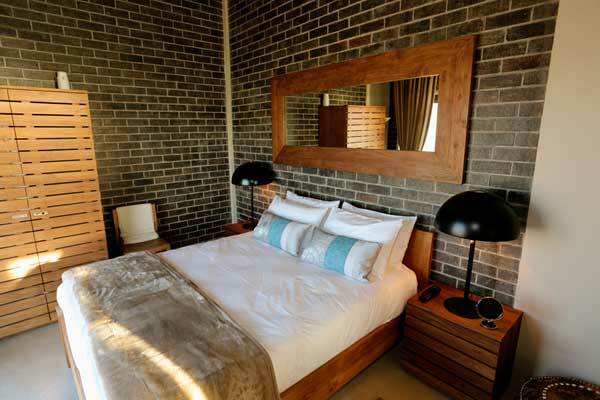 Accommodation is offered in the renovated old Harbor Control building, at the foot of the Lighthouse, known as Pelican Point Lodge and offers our guests a choice of 9 Luxury suites. All our suites are spacious, decorated in a warm contemporary style and designed to make use of the beautiful views even whilst showering. 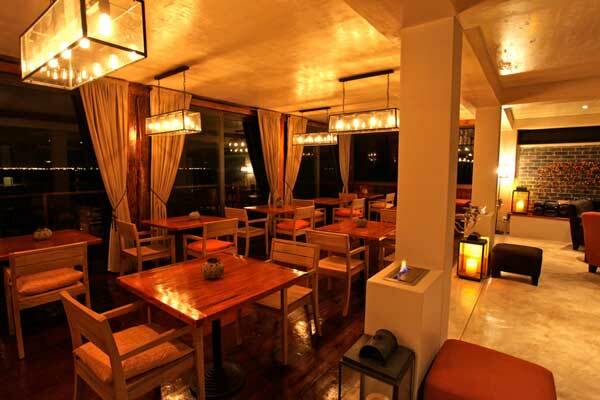 Relaxed ambience and personalized service. Pelican Point Lodge offers you an opportunity to explore the pristine stretch of sand of the Peninsula and enjoy a unique setting right on our doorstep without any costs. 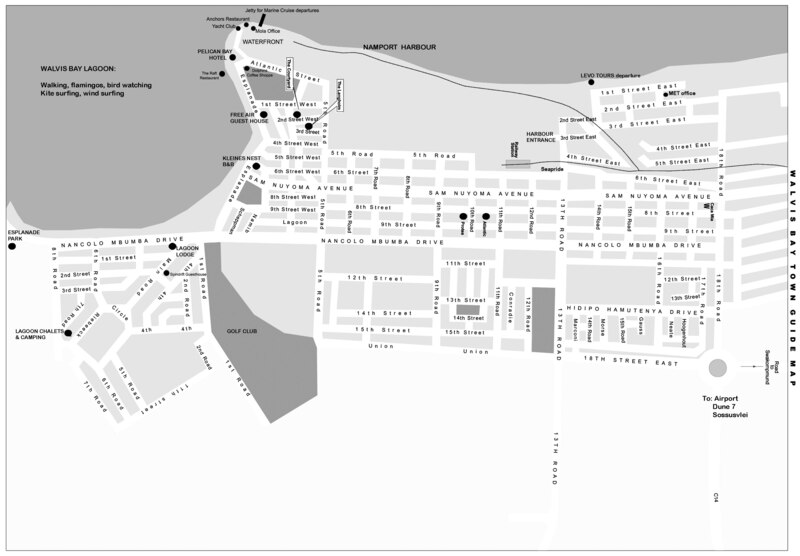 We can arrange a breakfast pack, picnic lunch or sundowner for a walk to the Peninsula Point or old Jetty whilst discovering and experiencing the strip of sand between the ocean and the Harbour of Walvis Bay known as Pelican Point. Sit, walk, observe, and take pictures in close proximity of the seal colonies whilst munching away and do not be surprised if a jackal or two ventures close to give you a perfect shot. Observe the Damara-tern, flamingos, pelicans, the colonies of seals, giant jellyfish and remains of oyster farms.